In your twenties, you get fixated on the idea of extraordinary. The belief that the one extra mile could take you to places. Don’t we all like if something comes extra than what we paid for? But in life to get the extra you need to work double. To get that one extra that separates ordinary from extraordinary a lot of things are involved. Most important is the right mindset. 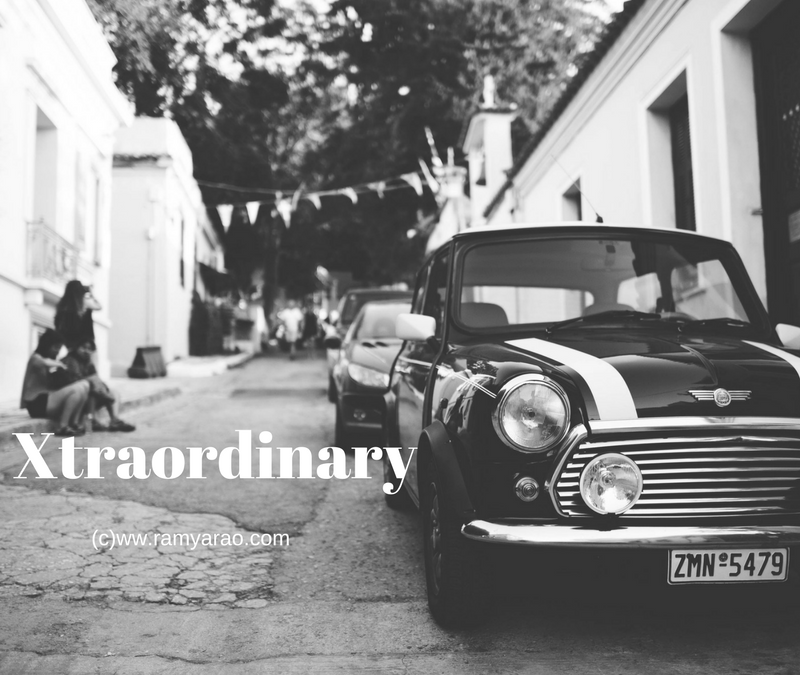 We need to learn to live and see the ordinary for us to experience something extraordinary. We have worked hard all our lives and were told to be the best than the rest to move forward in life. We probably have tried to be so all throughout too. Because we were told at every stage that the struggle is going to end. When we entered grade 10, we were told, a year you can be at peace and then work hard for class 12 and then under graduation is easy. But the fact is nothing is easy. Life before and after graduation is different, you have exams at every stage of life and you also have to struggle. So if someone tells you life is easy later. Do not believe them. In your twenties, when you begin facing disappointment, unlike in exams of schools or colleges where you could make up in the next exam, you would feel like giving up. Do no let the fire that was kindled early in life, die. Each one of us have the fire in us, that makes us extraordinary and twenties is a period where there is every chance it could die out. If you are passionate about something, chase it, pursue it and live it. If you aren’t happy, work hard and find the lost happiness. You are right- There is no such thing called Easy be it any age. I found myself more passionate as i am approaching my 30s. Neither in your twenties or ever one must let the fire die buddy, it is so vital to our existence and also our quest for the extraordinary. Well being differently ordinary is the most extra ordinary side of oneself.!!!! All you have to do is find what is that “different” thing in you. Our whole lives we are growing and one must never let the passion in us die or wear out. That is so true, Ramya and so relatable! Everything seems possible and extraordinary! Absolutely love this. It’s just what I needed to hear to today! Such a good reminder to keep working for our passions. This is so true- it’s way too easy to give up and not push yourself. You have the right attitude—do what burns the fire in your stomach, pursue your dreams. Are you familiar with Gary Vaynerchuk? He is on Facebook and YouTube several times a day, preaching this message. Your attitude determines your latitude and I would say your going up in the world! Never stop dreaming and be grateful even in the toughest moments. Liked the last part of your article. How true! !